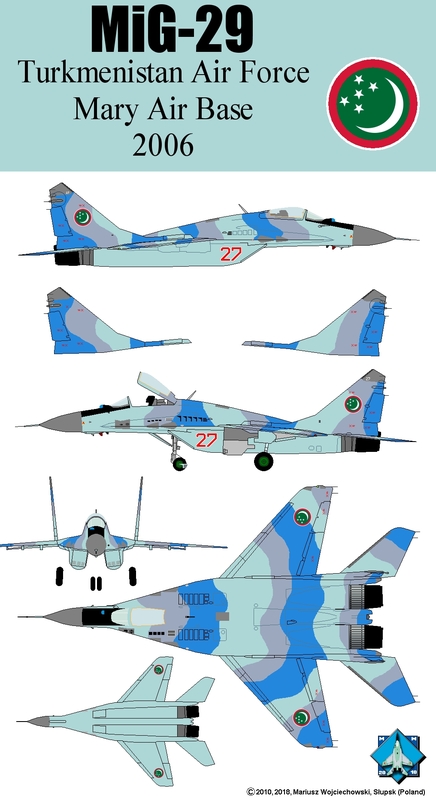 About 2004-2005 aircraft were overhauled, slightly modernized and repainted in Ukraine (Lviv State Air Repair Plant). Operational in 2018 is about 5-10. MiG-29, Turkmenistan, 2006. Each aircraft has different patern of the camouflage shapes. Drawing accuracy: schematic compilation.